So here’s a card from 1980’s Berlin some 9 years before the wall came down. It carries a 50 pfennig stamp from the castles and palaces series. At the top of this stamp you can see that it was issued by the Federal Post Berlin. ‘sky-scraper’ is a phrase of the era! The building is known as the Europa-Center. 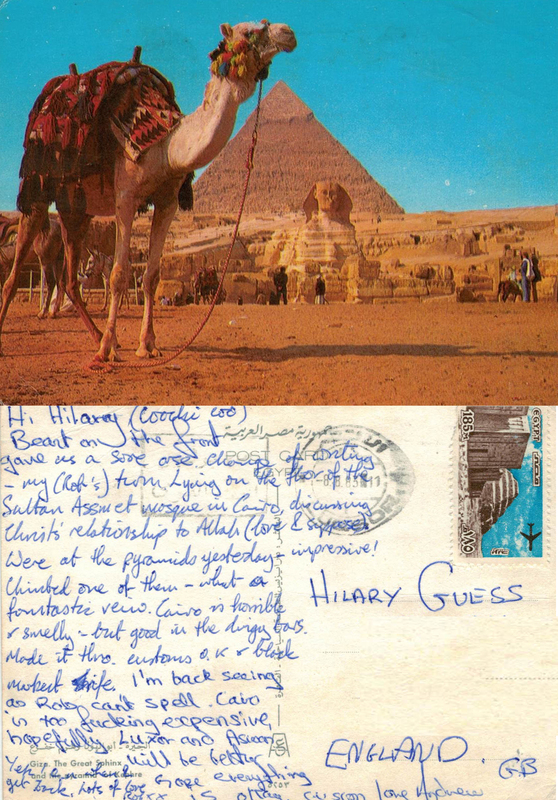 The card is postmarked ‘BERLIN 5.11.80’ and carries a second postmark, the rough translation of which is ‘keep connected with mail’ – a great sentiment!